KNOXVILLE, Tennessee — Riley Ferguson‘s departure has highlighted Tennessee’s need for another quarterback in the Class of 2015. There are few bigger targets than dual-threat quarterback Torrance Gibson. Auburn and Tennessee are leading the seven-team race for his signature. Helpfully, Gibson has been tweeting and blogging about the recruiting process. 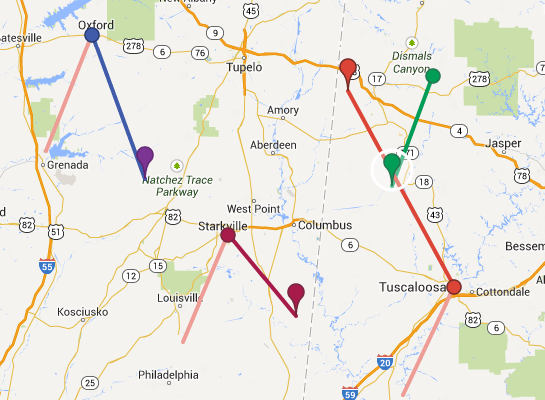 247Sports recruiting analyst Ryan Callahan chatted about Gibson’s visit to Auburn in today’s installment of GVX Audio. Gibson could visit Tennessee as soon as this weekend, but Callahan said the race should continue for some time. The Vols already have Jauan Jennings in the fold. He’s a four-star athlete from Murfreesboro who is being recruited by most schools as a quarterback. Many think he could also be an elite college safety. This entry was posted in Recruiting, Tennessee football and tagged Auburn Tigers, Gus Malzahn, GVX Audio, Jauan Jennings, Riley Ferguson, Ryan Callahan, Torrance Gibson on June 3, 2014 by Evan Woodbery. KNOXVILLE, Tennessee — Charlotte defensive back Stephen Griffin, has verbally committed to Tennessee. Griffin is listed at 6-foot-3 and 187 pounds on his 247Sports profile. He’s listed as a safety or cornerback, although his apparent size — even as a 17-year-old — makes it seem more likely that he would end up at safety. Griffin confirmed his commitment on his Twitter account. Griffin also had recent offers from Michigan, Boston College and others. In addition to UT, he had recently visited Clemson, Duke and North Carolina. He confirmed his UT commitment on his Twitter account. Here’s a look at Tennessee’s 2015 commitment list, which now has nine prospects. This entry was posted in Recruiting, Tennessee football and tagged Class of 2015, Stephen Griffin on March 20, 2014 by Evan Woodbery. KNOXVILLE, Tennessee — Butch Jones told an audience Wednesday at the Knoxville Tipoff Club that the Vols would probably sign 18-22 players in the 2015 class. But, he quickly added, that number is in “flux” and would remain so for some time. At first, Jones’ estimate sounded like an underestimation — perhaps a diplomatic one given the Vols just brought in an estimated 32 players in 2014. But upon further review, it seems likely that UT could sign a class with fewer than 25 prospects in 2015. The first factor is how many players, if any, the Vols will push forward to 2015 from this class. That number could be zero, one or two, depending on who’s counting. But let’s assume that doesn’t happen. Scholarship status cannot always be determined with certainty, but my list has 14 current seniors out of 85 scholarship players. So to carve out 25 slots for the 2015 class, the roster would have to undergo considerable attrition, with 11 of the 71 non-seniors (roughly 15 percent) moving on with their careers. There will be attrition, of course, but counting on that much is probably a bit ambitious — at least for now. So Jones’ guess of 18-22 players is probably as good as any. 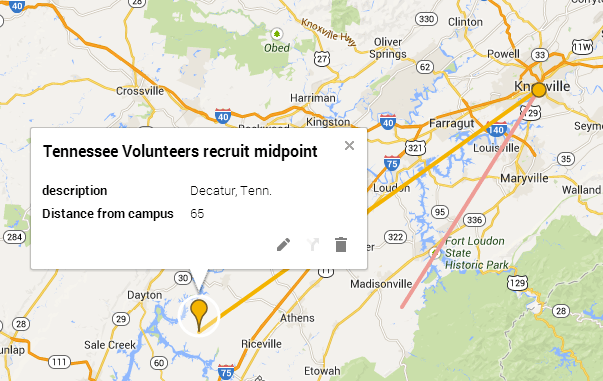 The Vols already have seven verbal commitments in the 2015 class, which means they’re off to an early start. This entry was posted in Recruiting, Tennessee football and tagged Butch Jones, Class of 2014, Class of 2015 on February 27, 2014 by Evan Woodbery. KNOXVILLE, Tennessee — Tennessee linebackers coach Tommy Thigpen, who was named Rivals.com recruiter of the year earlier this month, is one of several assistants who scored well in 247Sports’ recruiter rankings. 247Sports added the new ranking to its arsenal about a year ago, and has since used its database to rank assistant coaches from past years as well. (The numbers are not as complete as 2014, but are still useful to review). The rankings show that Thigpen’s prowess as a recruiter is nothing new. The change in coaching staffs at Tennessee makes it difficult to get an exact picture in 2013. But in 2011 and 2012, Thigpen was No. 5 and No. 18 nationally, respectively, credited with signing a dozen recruits who helped build Auburn’s SEC championship team in 2013. If recruiting rankings were once controversial, 247Sports opened up a whole new realm by ranking the recruiters. Initially, I thought coaches would freak out. Coaches are already a competitive breed, and I thought we’d see internal fights about who gets credit for signing each recruit. Maybe that stuff occurs behind the scenes, but I think most coaching staffs have long since made their peace with the recruiting industry. And 247Sports (full disclaimer: the company is a News Sentinel partner with GoVols247) has done a nice job pushing the franchise into new territory. So let’s take a look at the 2014 rankings. Thigpen, No. 10 overall, was listed as the primary or secondary recruiter on an incredible 17 prospects in this cycle. (Second place was Cincinnati’s Robert Prunty with 14). Nationally, 247Sports said the top recruiter was Georgia’s Bryan McClendon. Former Vol quarterback and current USC assistant Tee Martin was No. 2. But small sample sizes or a singe elite player can skew the one-year rankings. In 2013, there was a largely new crop of names in the top 10. (McClendon was No. 122; Martin was No. 92). Florida State’s Jeremy Pruitt, now defensive coordinator at Georgia, was No. 1. The fluctuation shows that plenty of factors lead to a good recruiting ranking. It could depend on the number of players a team plans to sign at a certain position or whether it was a particularly strong year for a certain geographical area. But Thigpen’s strength seems to transcend those fluctuations. And it’s worth noting that he was a closer of sorts for the Vols’ staff. 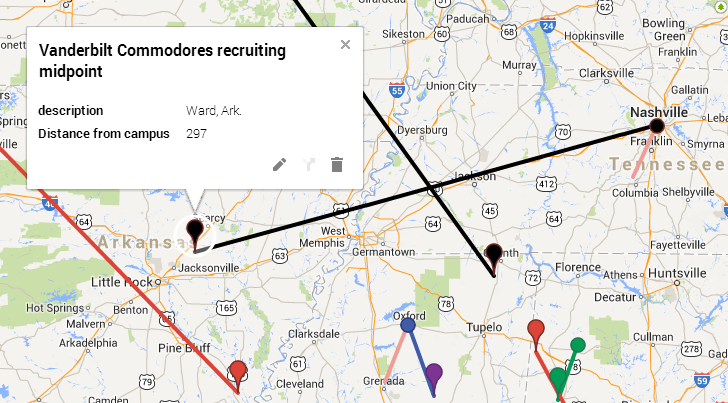 Butch Jones put him on recruits that weren’t necessarily at his position or his geographic area. Thigpen came to Tennessee after Auburn dismissed its staff in the wake of a dismal 2012 season. His link to Butch Jones’ Midwestern crew was Martinez, who was also on that Auburn staff in 2012. That was refreshing honesty. And there’s no doubt that Thigpen has won a lot. This entry was posted in Recruiting, Tennessee football and tagged Auburn Tigers, Bryan McClendon, Butch Jones, Curtis Luper, Jeff Grimes, Jeremy Pruitt, Mark Elder, Robert Gillespie, Robert Prunty, Steve Stripling, Tee Martin, Tommy Thigpen, Trooper Taylor, Willie Martinez, Zach Azzanni on February 19, 2014 by Evan Woodbery. This video was still active as of Monday afternoon. KNOXVILLE, Tennessee — On National Signing Day, recruiting war rooms are often open to the media. Usually that only means manufactured celebrations for ESPN. Sometimes, however, the microphone can capture frank comments from staff members. That’s what appears to have happened in the Southern California war room. 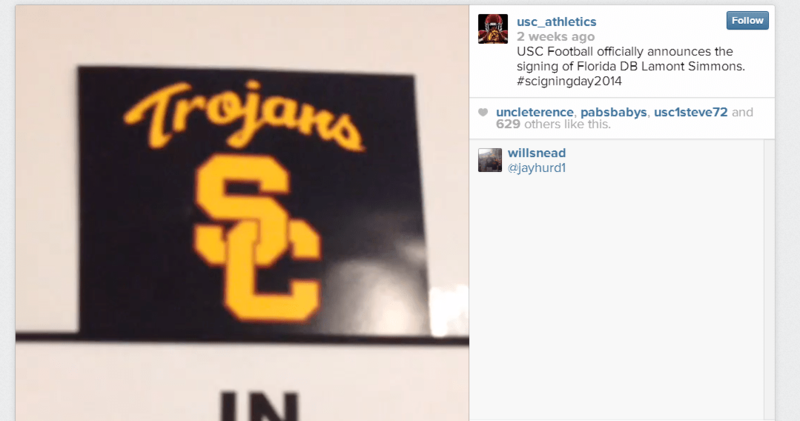 The Trojans used their official Instagram feed to publicize each new player on National Signing Day. In the video in question*, a staff member slaps the name of a new signee on the board as an ESPN broadcast buzzes in the background. 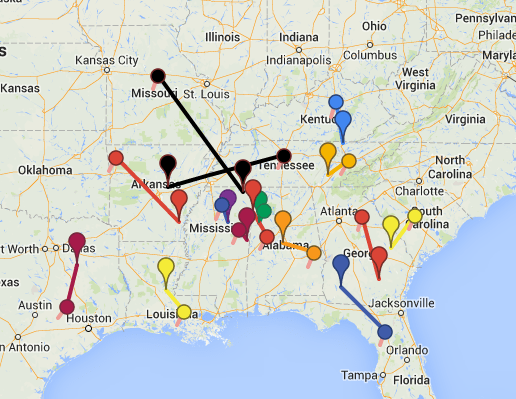 The network is discussing Tennessee’s class, including Jalen Hurd, and later Jakob Johnson. The Instagram video was removed on Monday afternoon and USC issued an apology on its Twitter account. USC Athletics apologizes for an inappropriate comment overheard on a video created on National Signing Day. The video has been deleted. The identity of the voice is unknown, although most fans on Twitter seem to think it’s a certain Trojans’ assistant coach who once played at UT. The Vols and Trojans aren’t likely to meet anytime soon. But Hurd, an elite running back prospect from Hendersonville, Tenn., won’t have to look far for motivation in 2014. This entry was posted in Recruiting, Tennessee football and tagged Instagram, Jalen Hurd, social media, Southern Cal Trojans on February 17, 2014 by Evan Woodbery.